The lifting of the arms embargo is a further step in the strengthening of relations between Vietnam and the United States. It enhances the security of both nations, while adding to the growing ties between them. In the last year alone, trade between Vietnam and the United States has increased greatly and, if the Trans Pacific Partnership is adopted, the two countries will become major trading partners. As Vietnam develops, and grows in strength in every way, there’s a possibility of a strategic partnership between the two countries similar to those that now exist between the United States and Japan and the United States and South Korea. However, America’s strategic partnerships are largely limited to countries that share a commitment to human rights and free and fair elections. 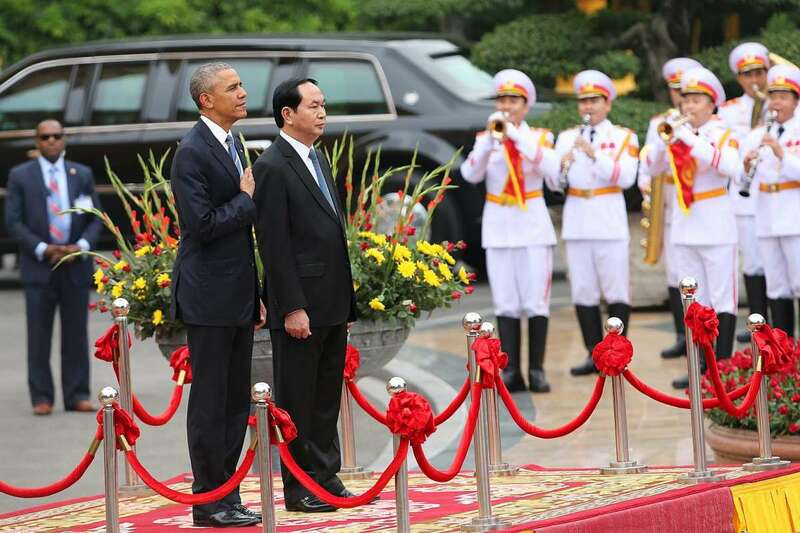 Political reform in Vietnam would likely have to precede a strategic partnership. That’s a matter for the government and people of Vietnam to decide as their country’s development progresses. America’s support for human rights is a lesson it learned the hard way when it backed a number of authoritarian regimes during the Cold War with the Soviet Union. Such regimes at some point lose the support of their people, which creates instability and blunts their progress. As well, nations that respect human rights rarely engage in armed conflict with each other. Through a commitment to human rights, they have discovered peaceful ways to resolve their differences to their mutual benefit. Beyond the issue of human rights, U.S. policymakers are interested in productive trade relations, which by definition benefit all the countries involved. Obstacles to free and fair trade could disrupt the further development of U.S.-Vietnam relations, though there is nothing at the moment that would suggest such obstacles exist between the United States and Vietnam. Unless that changes, I foresee a long period of productive trade relations. China’s increasingly aggressive actions in the South China Sea are also bringing the two countries closer together. For Vietnam, China’s actions are a direct threat to its sovereignty and endanger its rightful access to ocean resources. For the United States, China’s actions are a threat to the law of the sea. Nations have worked diligently to develop laws and norms governing the seas, and China’s actions ignore the mutual benefits that result from unimpeded transportation routes and respect for rightful claims to ocean resources. A further connection between the United States and Vietnam is the large and increasingly prosperous Vietnamese American community, which numbers more than a million people. They have enriched American society in many fields, everything from education to music to business. They are a role model that has inspired other Americans to admire and respect Vietnam and its people. In sum, the things that divide the United States and Vietnam are easily outnumbered by the things that unite them. That’s the promise of the future, a future that was unimaginable at the end of the tragic and destructive war that once divided our two countries.